They were terribly dusty. Can you see my fingerprints?! I absolutely love painting but far too rarely do I actually do it. I don't know why really. I find it one of the most relaxing and rewarding ways to spend a few hours. However, the longer the gap between painting, the less confidence I have that I will be able to create something that I like or am pleased with. A few years ago, I painted a few little ACEOs (Art Cards, Editions and Originals) measuring 3.5" x 2.5" and put them up for auction on eBay to try and make a few pennies. 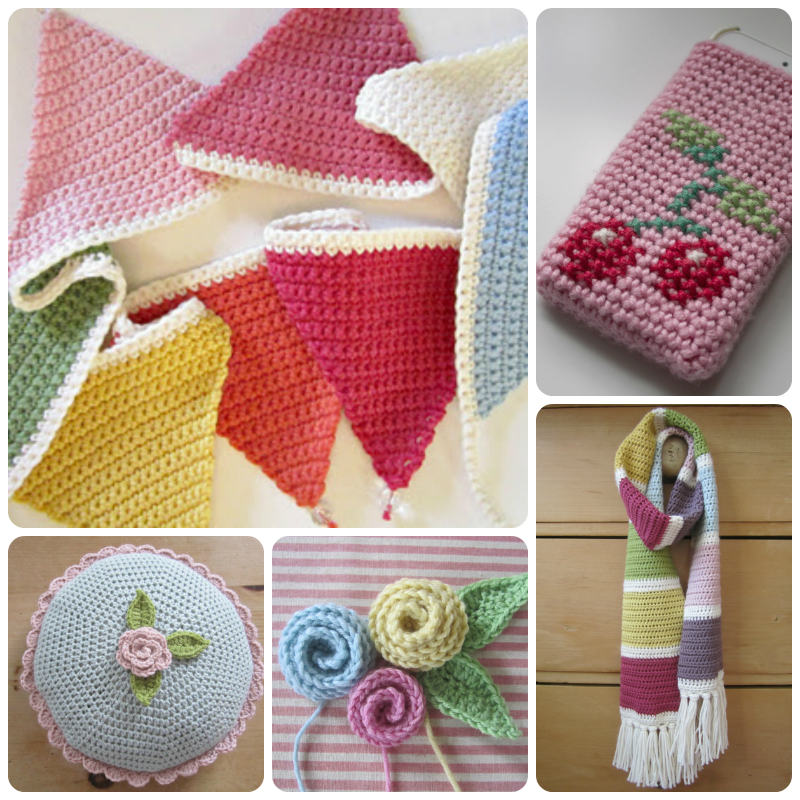 They each started at 99p and, to my surprise, all sold for between £5 and £15! 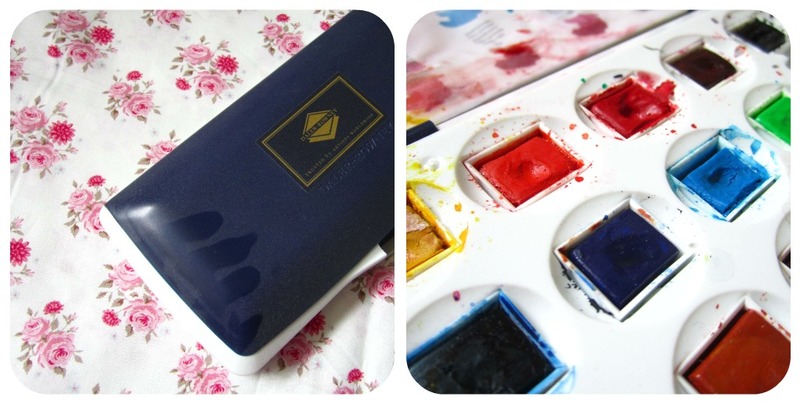 Other than the odd half-hearted dabble, I've done absolutely nothing since (hence the dust on my paintbox!). The class we are going to is of 'mixed ability' thankfully. The idea is that we each take a photograph from which to draw or paint. That's where I'm getting a little stuck/greedy. I really, really want someone to help me paint more 'freely' and to be more confident with colours. I'd also absolutely love to tackle a portrait in watercolours. Do you think that's too ambitious? Should I approach one thing at a time? Does anyone have any tips as to what type of photograph I should take? Should I take one of my own children or am I better to tackle a face less familiar to me? However, couldn't go without adding that your paintings are fab and you clearly have lots of talent. Hi Heather - I can't give any real advice as painting is not my forte, but I just wanted to say WOWSER! Your paintings are fab - I would buy one in an instant. 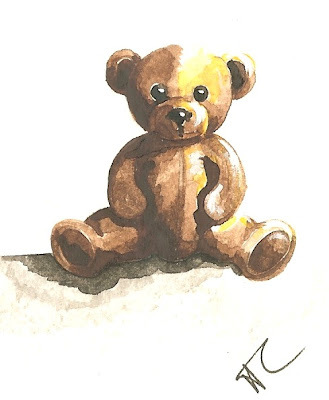 My fav is of the teddy bear (of course!) If you ever have one of those for sale, please let me know. I think you should just do what ever the hell you feel like. It's your art, it's your time. Do exactly as you please and enjoy every single second. Just spending time painting will improve your skills. This is probably not the right answer but I think you should paint for joy. To me your paintings are wonderful, and I can't give any advice about the photo, but I hope you enjoy your classes.I hope you continue because I love the painting of Bertie and the cat. Your watercolour paintings are really lovely, Heather, you are very talented! I don't really think you need advice, but all I would say is just go with your own feelings and paint whatever you want to, in any way you would like and I think you will do it well.....I look forward to seeing what you paint next. WOW Heather! They are amazing. Just gorgeous. You're so clever to have created a sense of emotion in them. I'm in awe. I think you should pick something that you'd love to paint so it sounds like that's a portrait. Or do you have a nice holiday photo of your children that you could do? Whatever you choose I'm looking forward to seeing the finished article and wish you loads of luck and fun in your class. Clever gal. 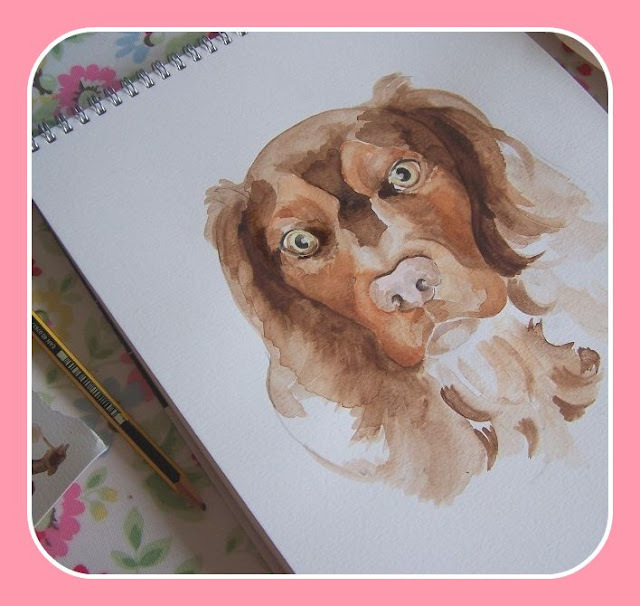 Your painting are wonderful, i think you would easily do a fantastic portrait, you've certainly loads of ability. 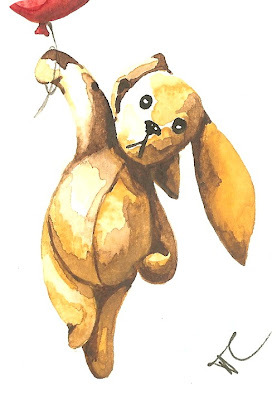 I don't know why you haven't got more confidence in your talent - thosw watercolours are wonderful! It does occur to me that if painting one of your children, you may be overcritical of yourself in trying to get it 'just right'. You are very talented. I love the bunny- so cute! I agree with Amanda- go with a special photo. Your paintings are excellent. I love your use of light and shade. I agree with Cuckoo the most I think. Enjoy it! I think perhaps I would choose someone familiar to me as I think I would enjoy painting them more. It would also bring better insight to your picture in terms of their personality which you would know very well. I can imagine this would lead to the painting having lots of character. Other than that. Any picture that you love, because you love it! And don't worry about your class, you will be one of the good ones! Heather...you have talent. I love your paintings. Heather you are so talented! 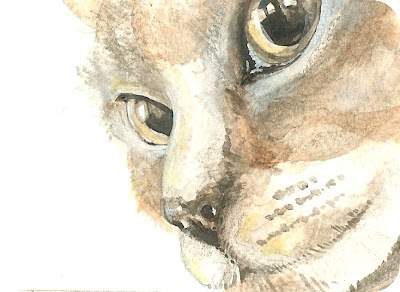 I love the watercolour cards you did, especially the dog and cat - the eyes are lovely! I cannot offer any watercolour advice being a complete novice but Im sure whatever you tackle, be it a familiar loved face or not, it will turn out good. I don’t know why you don’t paint...you are very talented! Good luck, not that you will need it. 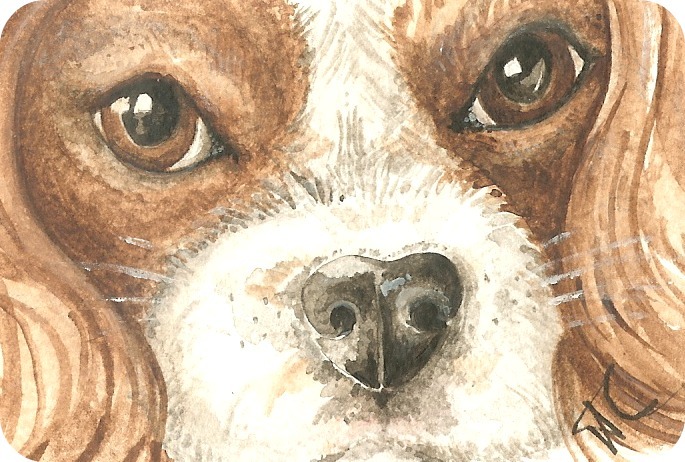 The watercolor of Bertie is fantastic! I love watercolor also, have done some, but like you, am a bit controlled with it and should loosen up. I've also found that when I finally sit down and paint (few and far between--like years! ), I ask myself why do I wait so long to do this? Pink Feather Paradise gave excellent advice--just go ahead and jump in! I would say one thing--I've had instructors who have made me think that my style was 'wrong'. We all have our own painting style and we don't need to feel as if we should paint like someone else.